Change the Way Your Student Sees the World! Each week, FSAP will post a topic of discussion on their Facebook & Twitter pages, encouraging online conversation regarding health and wellness. Participants will be entered into monthly prize drawings! You are encouraged to join the conversation anytime, but especially on Tuesdays when you will be entered to win a prize. Join the discussion for health and wellness education and to connect with other members of the Emory community who are focused on making healthy lifestyle choices. You “like” our Facebook page for the first time or start following us on Twitter. 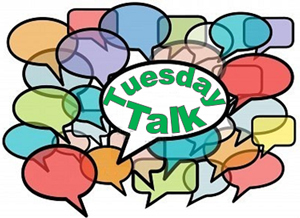 You participate in the Tuesday Talk topic (before the end of the day on Tuesdays), which may ask you to “like” or comment on the post or answer a poll question.